We are currently having a special on Frontline. Buy a box of 3 doses and receive a free dose. Our staff will even apply your first dose and show you how to apply it appropriately! Click here to watch a tutorial about applying Frontline. For flea and tick control we recommend Frontline Gold and NexGard! 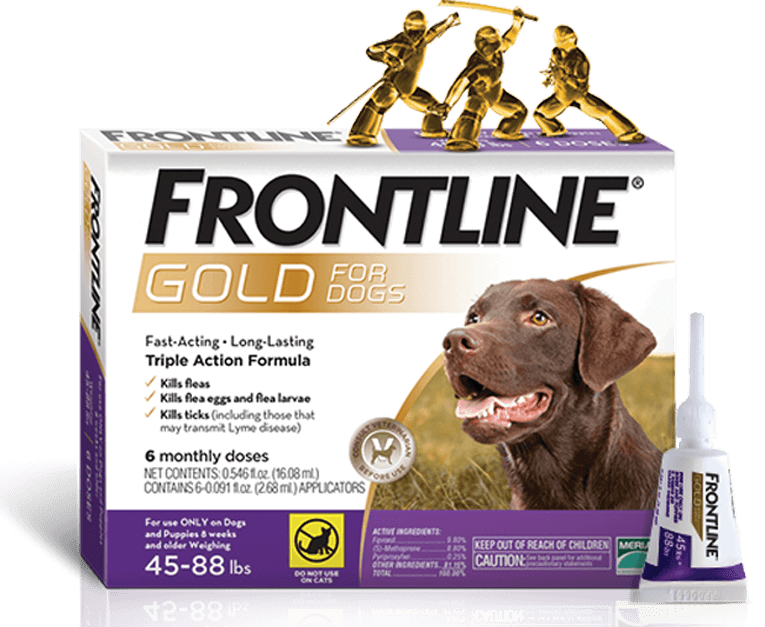 Frontline Gold is safe for dogs and cats as young as 8 weeks old! You can even use it on pregnant or lactating pets. You apply it to the skin on your pets back once every 30 days. Follow this link for more information on Frontline Gold. 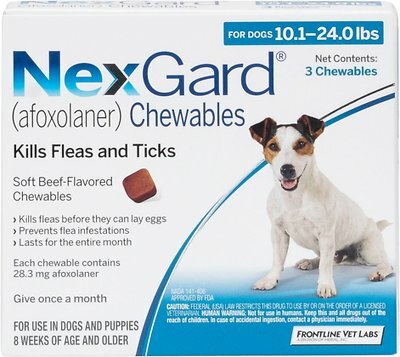 NexGard® (afoxolaner) is the #1 vet-recommended, FDA-approved soft chew that kills both fleas and ticks and prevents infections that cause Lyme disease. NexGard kills infected black-legged ticks before the infection can be transmitted. Not only does each beef-flavored chew provide a month's worth of protection, they're easy to give because dogs love the taste.Follow this link for more information on NexGard. Ticks are very common in and around the Spokane area. We tend to see them in the warmer months (usually April-Oct). Ticks also feed on your pet's blood. However, unlike fleas, they actually attach onto your pet's skin. Ticks can transmit several infectious agents, and can lead to certain neurologic diseases. If your pet goes anywhere outside where there is brush, tall grass, or trees it should be protected from ticks. If your pet shows a lameness, loss of appetite, or lethargy call us for an appointment. These signs could indicate a tick related disease. 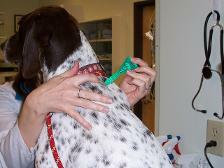 Click on the link below to read about proper ways to remove ticks. Fortunately, in Spokane, we do not have a lot of fleas. However, we do see fleas from time to time. Fleas feed on your pet's blood. In this way, fleas can cause discomfort for your pet, as well as, lead to anemia and transmit tapeworms and other infectious agents. In addition, fleas are very difficult to remove from your house. If your pet is scratching or chewing, or if you see dark bugs in their hair, schedule an appointment so that the veterinarian can determine if your pet has fleas and help you formulate a plan to get rid of them.